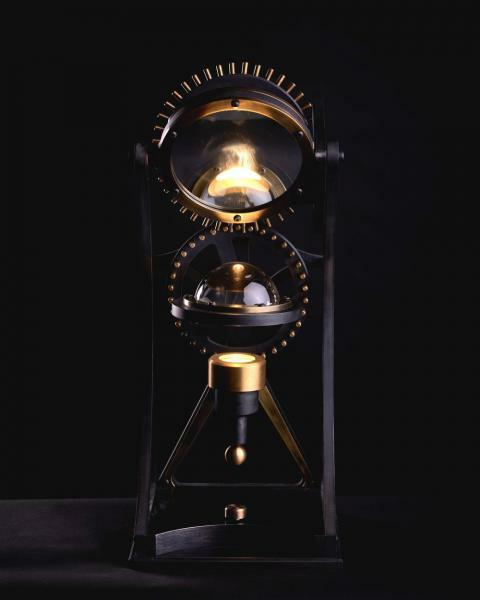 “The Leonardo 1482 poetically resembles a rising sun, borrowing heavily from Renaissance-era mechanics, and is appropriately named for the year Leonardo da Vinci began designing and developing his inventions,” the company says. 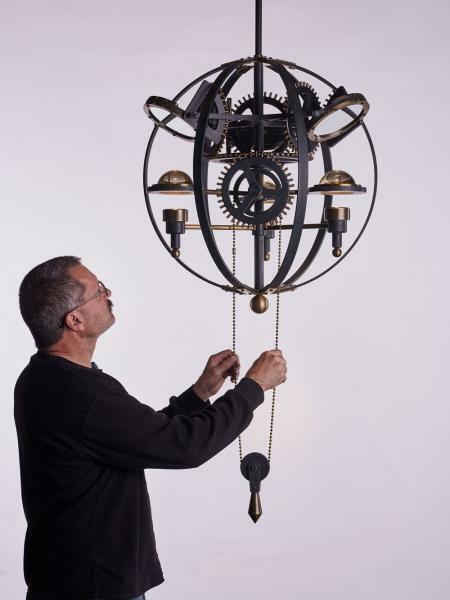 The Infinity 1519 is an avant-garde luminaire symbolizing a setting sun, as 1519 was the year Leonardo da Vinci passed away. Its shown here as a hanging pendant. 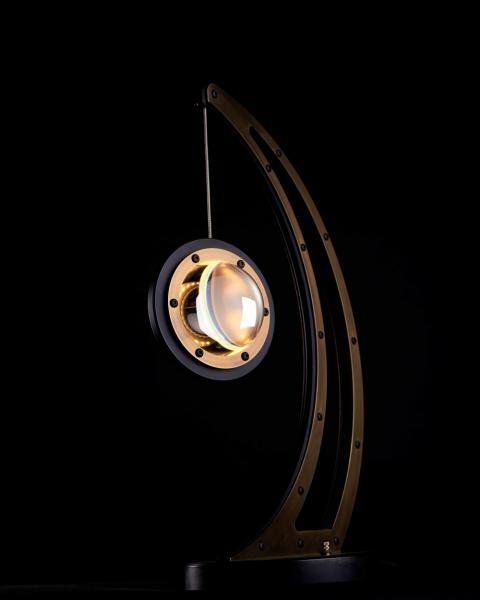 The Vitruvian Table Lamp complements the 1482, with a correlating expression. In honor of Da Vinci’s Vitruvian Man, the table lamp speaks to the geometric purity and deconstructed anatomy this series reveals. 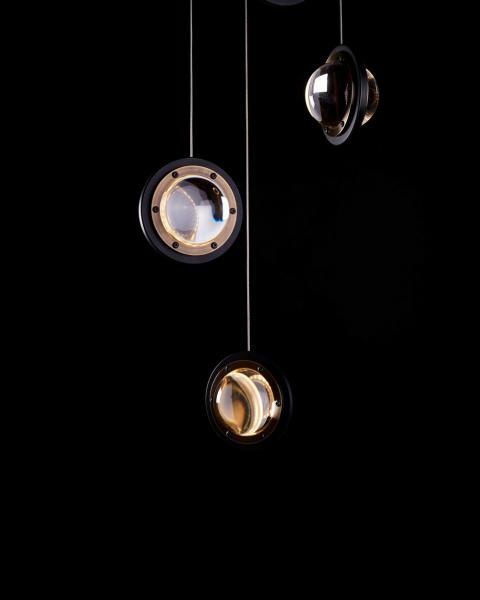 To complete the collection, the Infinity 1519 table lamp is also available as a table lamp.